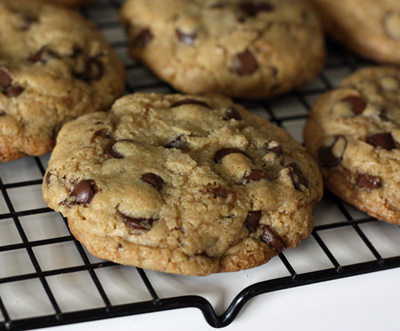 Based on a recipe from the USA (tweaked for Somerset taste-buds), our chewy choc chip cookies are divine! Made with organic flour, butter, sugar and locally produced eggs. These cookies go perfectly with or an tea.